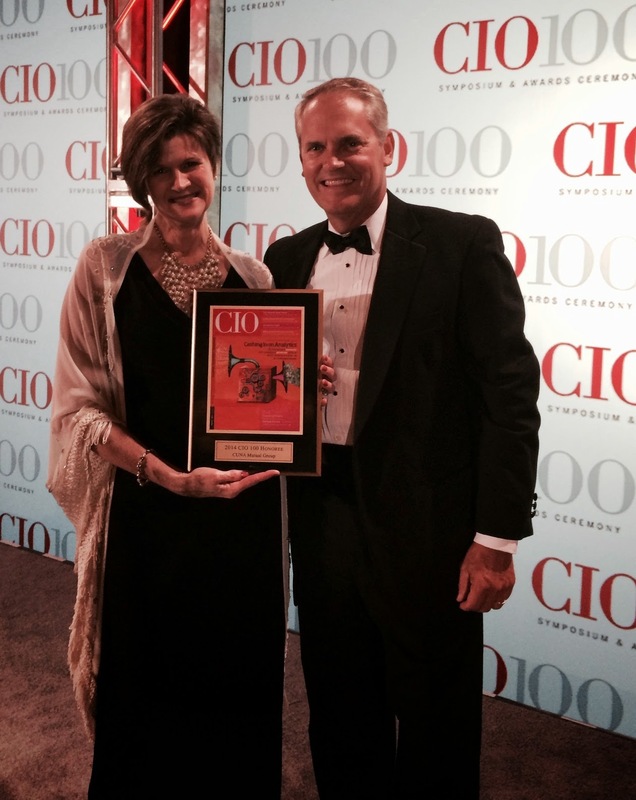 International Data Group's CIO magazine named CUNA Mutual Group among its 2014 CIO 100 award recipients. The 27th annual awards program was held Tuesday evening, Aug. 19, and recognizes organizations worldwide that exemplify the highest level of operational and strategic excellence in information technology. CUNA Mutual Group's CIO, Rick Roy, was honored with accepting the award. A tablet application that helps credit union members plan for retirement security. Launched in August 2013, the ZONE presents CUNA Mutual Group’s registered index annuity, MEMBERS® Zone Annuity, in a unique, high-performance web application for the iPad. The ZONE helps advisors and credit union members work together to create a zone of risk and reward aligned with the member’s investment goals. "For 27 years now, the CIO 100 awards have honored the innovative use of technology to deliver genuine business value," said Maryfran Johnson, Editor in Chief of CIO magazine & Events. "Our 2014 winners are an outstanding example of the transformative power of IT to drive everything from revenue growth to competitive advantage."